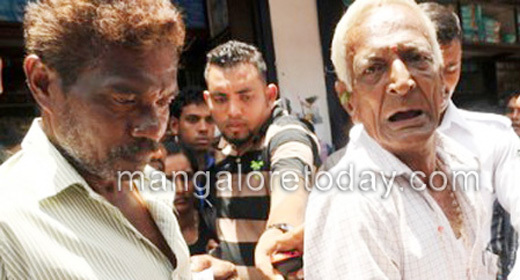 Mangaluru, Sep 1, 2015: An elderly man was arrested in the vegetable market area in the city on August 31, Monday on the charges of sexually harassing a married woman. It has been gathered that the woman who had come to the market along with her husband was harassed by a person said to be an ex-serviceman. Though initially the woman thought that the man had touched her accidentally, when he repeated the act, she reportedly slapped him. Sources said when the woman questioned the man for his act, he behaved rudely. 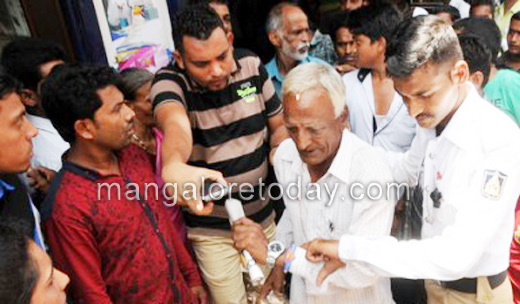 When a large crowd gathered around, the man quietly slipped and hid inside a nearby shop. He was later arrested by the police. Shame on the person. Looks like a grandfather. What’s his problem?